A total of 48 members made their way to Midland and Penetanguishene, Ont., for SIHR's 23rd AGM. The weekend began Friday, May 23 with a tour of the Midland Sports Hall of Fame. The group was then addressed by Larry Bellisle, past president of the OHA and tour director for Team Canada 1972, and Mike Dubeau, former Oshawa General and roommate with Bobby Orr. Host Waxy Gregoire organized a "jersey meet-and-greet," with prizes for the most unusual hockey sweaters. First prize went to Rheal Robichaud of Dieppe, N.B., for his vintage Rick Lanz Canucks "Flying V" model. On Saturday, president Jean-Patrice Martel took note of many books published by SIHR members over the past year. Work was underway to add a blog to the website, and efforts had been renewed to get J.G.A. Creighton inducted into the Hockey Hall of Fame. This summer, Normand Laplante of Library and Archives Canada was set to begin finding a repository for SIHR's archival materials. Martel expressed concerns about the progress and composition of SIHR's Constitution Committee and moved that an additional five members, not from Ontario and who do not regularly attend meetings, be added. The motion was defeated. Vice-president Paul Bruno reported on a trip to Arizona, during which he contacted the offices of the Society for American Baseball Research. He had also spoken with Jim Devellano about the Creighton nomination efforts and acquired some insights into how the nomination process works. SIHR's hockey pool, won by Aubrey Ferguson, raised money for the Princess Margaret Hospital Foundation. Secretary Lloyd Davis reported a tally of 524 paid-up members, up 12% over the year before and the first time there were more than 500 at the time of an AGM. Treasurer Iain Fyffe put forward a detailed 11- page report. The Society ran at a deficit of about $1,500 in 2013 and a budget drawn up by the officers for 2014 projected a similar shortfall of $1,700. There was sufficient money in reserve to cover these shortfalls. Martel, feeling he had lost the confidence of the assembly, declined nomination for a second term as president, making him the first in SIHR history not to serve in that role for at least four years. Paul Bruno was nominated to fill the vacant presidency, while Lloyd Davis accepted a nomination to take Bruno's place. Wayne Geen was nominated to fill the void at secretary, leaving a spot for a new VP Ontario. Gregoire took that position. The remainder of the board - treasurer Fyffe, VPs Benoît Clairoux (Quebec), R.J. Pratt (Canada West), Ron Leger (Atlantic), Roger Godin (USA West) and Jim Mancuso (USA East), and directors-at-large James Milks (Canada) and Patrick Houda (International) were returned by acclamation. Craig Bowlsby of Vancouver received the Brian McFarlane Award for his books 1913: The Year they Invented the Future of Hockey and Empire of Ice. Clairoux provided a slideshow on the site of the Fall Meeting, Sherbrooke, Que., and Fredericton, N.B., was chosen as the site of the 2015 AGM. SIHR authorized an Oral History Research Committee to interview and record the memories of hockey personalities. A committee will compile a book documenting top-level North American hockey prior to the NHL becoming the sole major league. Another will study how webmaster James Milks might be compensated for his work on the website, as well as how best to address needs related to the site. A fundraising committee was authorized, and the SIHR blog was approved. Hall of Famer Pierre Pilote was an entertaining after-lunch speaker, and the afternoon featured a quartet of presentations. Andrew Ross of Guelph, Ont., presented "That Was the Era of Capone and Jake Lingle: Networks of Sports, Media and Vice in the Early History of the NHL"; Kevin Shea of Ajax, Ont., spoke about the Toronto Young Rangers; Marc Durand of Stoneham, Que., spoke on the Quebec Bulldogs. Running the anchor lap were the trio of Martel, Houda and Carl Gid&eacute;n, with a pr&eacute;cis of their new book, On the Origin of Hockey. Thanks to Greg Oliver, videos of these presentations are available on the new SIHR video page on YouTube (www.youtube.com/user/sihrhockey/videos). Saturday wrapped up with a visit to the Penetanguishene Sports Hall of Fame, and the Fitsell Cup game was played on Sunday morning. 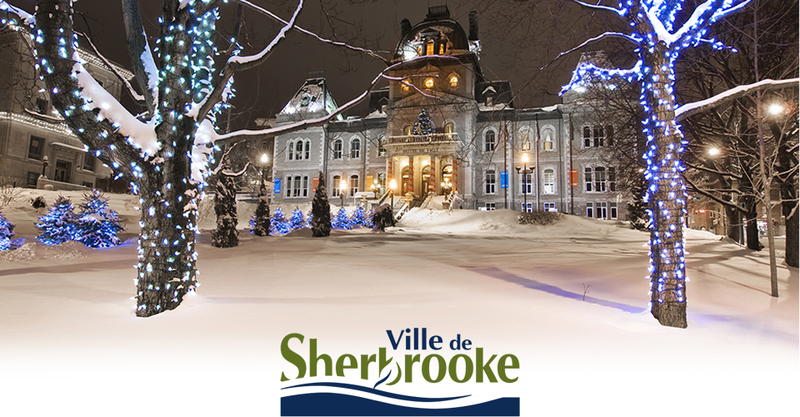 Once again, la belle province proved itself a terrific host for a SIHR gathering, as Sherbrooke provided the backdrop for the 2014 Fall Meeting. The weekend began with a QMJHL tilt between the hometown Phoenix and the visiting Moncton Wildcats at Palais des Sports Léopold-Drolet. The game was highlighted by a third-period comeback by the Phoenix, who scored a trio of goals —the last with just 16.1 seconds remainingâ€”to steal the victory, including a highlight-reel marker by Daniel Audette (son of ex-NHLer Donald Audette). The speedy forward finished the game with six pointsâ€”two goals and four assistsâ€”and was named the game's first star. During the first intermission, SIHR members were joined by team co-owner Jocelyn Thibault, the former NHL goalie, who signed numerous autographs, posed for pictures and chatted with members. The Saturday portion of the meeting kicked off at Hôtel Le Président with 27 members present, including three first-time attendees: Ed Norris of Lancaster, Mass., Simon Grondin of Quebec City and Clint Kelly of Montreal. The business meeting proceeded without a hitch and ended well before lunch. During the roll call, founding president Bill Fitsell spoke briefly about Stephen Smith's new book Puckstruck, which includes passages about SIHR, and Billy Georgette spoke passionately about the need to take action to commemorate Montreal's Victoria Rink. The search continues for a new Journal editor. The Executive is currently considering interested candidates. Meanwhile, Normand Laplante has stepped down as SIHR Archives Committee chairman, feeling he is unable to fulfill those duties. For his president's report, Paul Bruno — a devout Toronto Maple Leafs fan — donned a Montreal Canadiens jersey (there is photographic proof on page 3 of this Bulletin!). He did so to emphasize that SIHR is one team. The Executive has dealt with the fallout of the Penetanguishene meeting for the past six months, with a recent (Oct. 5) meeting in Kingston with all those involved. "The net result was a verbal exchange of some required apologies and discussions of how to resolve some of the outstanding issues that were born in Penetang," he said, adding there is still some work to be done. As for the future: "We need to continue excellent research... that is who we are." Bruno would also like to see SIHR reach a wider audience, and recognized our website contributors, social media facilitators, e-list moderator and bloggers for taking the first strides in getting the SIHR name out there. Ernie Fitzsimmons, chairman of the Website Committee, reported that inputters have added 70,000 lines of statistics and 20,000 more photographs in the past year. Fitzsimmons also said he would like to see a symposium at the 2015 Annual General Meeting in Fredericton on what leagues have been researched and what still needs to be done. After handing over the reins of control to vice-president Lloyd Davis, Bruno said he would like to see SIHR form a committee to undertake the preparation of a course outline on Hockey History in Canada, to be taught at the high school level. The motion was carried. Before lunch, host Benoît Clairoux gave his presentation "Tragedy to Triumph: The 1974/75 Sherbrooke Castors." Following lunch, members were joined by two guest speakers: Sherbrooke businessman and former hockey player and executive Georges Guilbault, and Bruce Cline, who played 30 games for the New York Rangers, but played the bulk of his professional career in the AHL with the Providence Reds, Buffalo Bisons, Springfield Indians and Hershey Bears. That was followed by more presentations. First up was Roger Godin, with "En route to St. Moritz Gold, Boston University Club Steals One from the Toronto Grads." He was followed by Simon Grondin's "About the Relative Age Effect in Hockey;" Len Kotylo's "The Place of Early Toronto Hockey Rinks in Toronto Life;" and Billy Georgette's "Rare Artifacts." Thanks to J.P. Martel and Greg Oliver, all the afternoon presentations are available on the SIHR video page on YouTube. A large group of hungry hockey historians then assembled at St. Hubert for more talk (the talking didn't even stop when food was served). Sunday morning saw a lively ball hockey game at Excellence Dek Hockey, in competition for the prized Fitsell Cup.